Rolling Stone magazine calls it the fourth greatest album of all time. I’m not much for top ten lists and such, but this is certainly a great album. 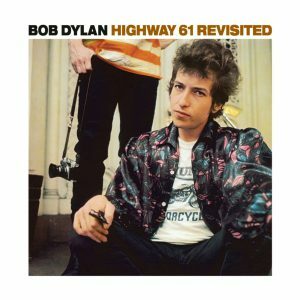 If Bringing It All Back Home (released only five months earlier on March 22) had sounded the death knell of an acoustic folk Dylan, Highway 61 Revisited is the clarion call. Albums have 12 songs. Highway 61 Revisited has 10. Singles are two and a half to 3 minutes long. Like a Rolling Stone is 6 minutes 13 seconds. The album’s shortest song is From a Buick 6: 3:19. The album closes with Desolation Row at 11:21 and the album’s only acoustic cut. Though Dylan had already released his “half-electric” Back Home album before his April-May 1965 England tour, the eight shows were all acoustic. He held off his public electrocution until the Newport Folk Festival on July 25. He was tired and somewhat disenchanted following that spring tour. 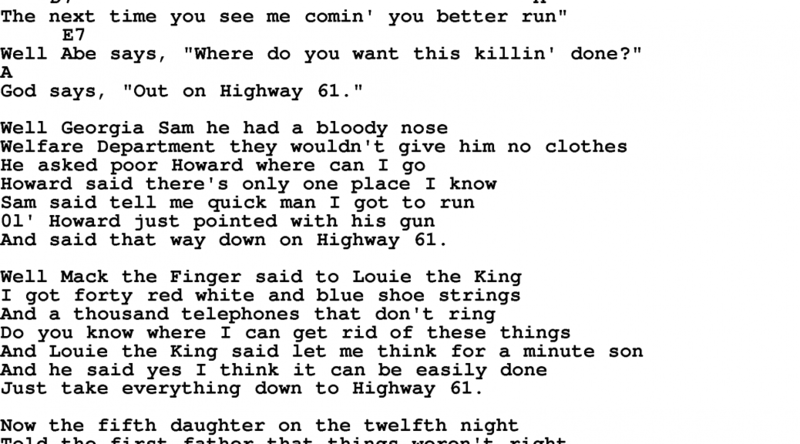 Writing Like a Rolling Stone cleansed him. June 15 and 16 (1965) were the first two days of recording the album in Columbia Records Studio A in NYC, but it was June 16 in particular that is noteworthy. 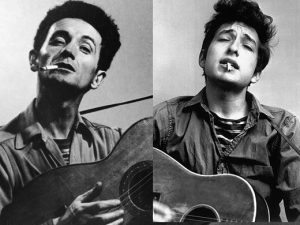 Although Dylan and the other musicians had worked a bit on Like a Rolling Stone the day before, it was June 16 that produced the version embedded in us. The rim shot followed by Al Kooper’s Hammond organ riff. Al Kooper. 21. Already a musical success as a guitarist with the Royal Teens and their hit single, “Short Shorts.” About the help start the ground-breaking Blues Project and then the Blood, Sweat and Tears. But on June 16, 1965 he was just a guest sitting in. Sitting in not as in playing, but literally sitting in to watch as a guest of Columbia producer Tom Wilson. Kooper had never played the organ before! After those two sessions, Dylan continued to write, electrified Newport, and returned to the studio on July 29 and July 30. A weekend in Woodstock, NY writing and a return to the studio on August 2. All he needed was one more day, August 4. Six days to record the fourth greatest rock album. Nice work, Bob. In September 1965, the US trade journal Billboard also praised the album, and predicted big sales for it: “Based upon his singles hit ‘Like a Rolling Stone’, Dylan has a top-of-the-chart-winner in this package of his off-beat, commercial material.” The album peaked at number three on the US Billboard 200 chart of top albums, and number four on the UK albums charts. But something is happening here and you don't know what it is. June 5, 1956: Elvis Presley’s second appearance on The Milton Berle Show when he set his guitar aside and put every part of his being into a blistering, scandalous performance of “Hound Dog.” Elvis had already made six appearances on Tommy and Jimmy Dorsey’s Stage Show, and on April 3, he appeared for the first time with Uncle Miltie. But every one of those appearances featured Elvis either in close-up singing a slow ballad, or full body but with his movements somewhat restricted by the acoustic guitar he was playing. It was on his second Milton Berle Show appearance that he put the guitar aside and America witnessed, for the very first time, the 21-year-old Elvis Presley from head to toe, gyrating his soon-to-be-famous (or infamous) pelvis. 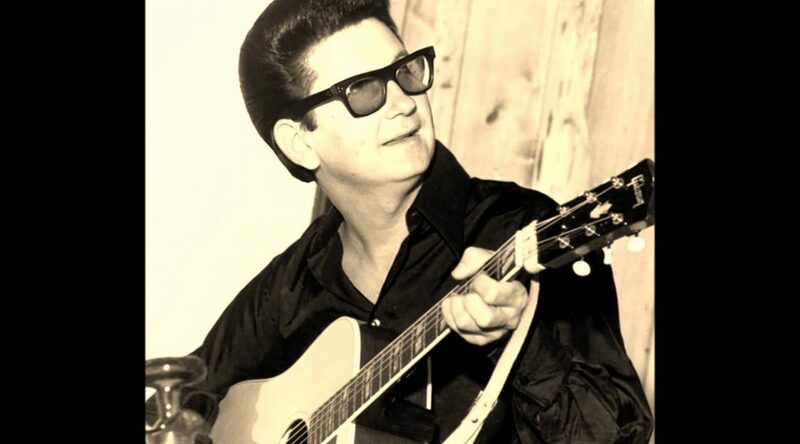 June 5 – 18, 1961, “Running Scared” by Roy Orbison #1 Billboard Hot 100. The song is unusual in that it has no chorus, but simply builds to a vocal climax. April 12, 1963: at New York’s Town Hall Bob Dylan recited “Last Thoughts on Woody Guthrie,” a long evocation of old memories, a youth searching for himself by the railroad tracks, down the road, in fields and meadows, on the banks of streams, in the “trash can alleys.” And, he says, somehow during that search Woody was his companion.